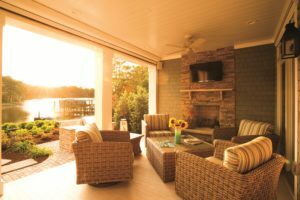 Because we are fortunate in this area to be able to enjoy outdoor living almost year-round, I offer a dozen considerations to get you started on designing or remodeling the deck of your dreams. 1. Rules and regs. Familiarize yourself with your city’s regulations to find out what you can legally do. 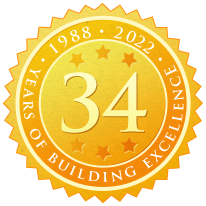 Your deck designer and builder will most likely need to apply for a deck permit requiring scale drawings of the framing plan and possibly an elevation to ensure that your deck will be safe and meet structural code requirements. Materials, fasteners, footings, railings, stairs and ledger boards will all need to be addressed. 2. Living the life. Is private reflection, an intimate dinner or drinks by the fire pit how you roll? Do you occasionally throw a large party or do you regularly entertain the masses? Essentially, you need to ask yourself what ages of people will use the deck, how, and how often. Whatever the answers, be clear about your needs. Think in terms of must-haves and like-to-haves and determine what your budget and space will allow. 3. In the zone. In all likelihood, your deck will accommodate a range of activities: some frequently, some occasionally. Establish zones or rooms for relaxing, dining, cooking and so forth. Designing a deck is not unlike designing an interior space with an open floor plan. Be sure to leave plenty of room for traffic flow around and through these areas. For instance, diners should be able to comfortably pull their chairs back from the table without hitting a railing and be able to circulate around the table comfortably. 4. Be materialistic. When choosing materials, be realistic about your willingness to engage in proper maintenance. Treated lumber or cedar is the most affordable, but requires power washing and, ideally, sealing. Exotic woods are rich-looking, but more expensive. Composites, PVC and the like are more expensive, but offer virtually maintenance-free longevity. 5. Size matters. The scale of your deck in relation to your home, especially, but also your yard, is critically important for a cohesive look. Some experts advise that your deck should be no larger than 20 percent of your home’s footprint. But it depends on several factors including how the deck is broken up with furnishings and such, its shape and its design. Manipulating the angle of the boards – vertically, diagonally, horizontally or in combination – can help break up the space and define zones. A bi- or even trilevel deck, or one with repeated angles, curves or bump-outs helps avoid that aircraft-carrier feel of too large an expanse. 6. Free range. If you enjoy grilling – a lot – an outdoor kitchen, complete with a wood-fired brick pizza oven, may be a must-have. But a simple grill, perhaps on a bump-out, may suffice. On the other hand, if your kitchen is conveniently located near your deck, you may prefer to cook – and possible even serve – food indoors and dine outside. Grills and decks go together like beans and slaw, but a nice gas grill that sits under its cover unused is an expensive piece of sculpture. 7. Cover up. Depending on the orientation of your deck and the trees on your property, the sun’s rays may or may not be an issue. But if you and the sun have different ideas about compatibility, design a portion of your deck to offer shade, either full – rendering it a covered porch – or partial, with, say, a pergola. How far apart the rafters are spaced and whether it is planted with a climbing vine determine how much sunlight penetrates. 8. Room with a view. Many of us enjoy our decks because of the view it provides into our yards or the surrounding landscape. But the view from inside the house out to the deck is also important for visual harmony. As you choose a design and furnishings, ensure that the view from the inside out is enhanced and unobstructed. Some strategies to help open up the view include a stepped-down design and a cable or tempered-glass railing system. If you choose a sleek contemporary cable system, be sure it won’t rust. 9. Stay connected. Visually and, often, functionally, decks provide a transition between house and yard. 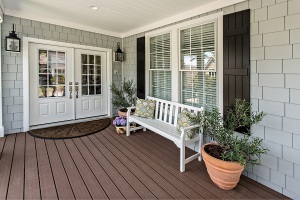 To ensure that the transition is smooth, consider not only the style of the deck and furnishings, but what lies beyond. 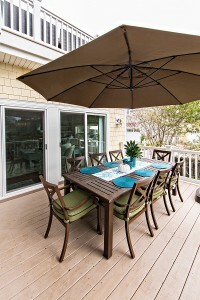 Typically, decks, especially small ones, should reflect the style of the home. Larger decks, or those with more than one level, often look attractive if they become more natural or organic as they move away from the house. Where any deck meets the yard, a patio, pavers, stones or brick create a handsome transition. 10. Let there be light. Since, especially during the work week, many of us are only able to enjoy our decks at night, be sure to provide adequate lighting for ambiance, tasks and safety. Choose from under-rail lighting, string lights, well lights, stair lights, cordless fixtures and more. 11. Upstanding. We tend to think of decks as floors, but it is often the upright elements that create the most visual impact. Today’s market boasts an almost overwhelming range of railing styles from rustic to highly refined. Take your time, do your research – look at lots of photos – and pick the perfect railing for your application. If your deck is significantly raised, your skirting can be simple vertical or horizontal boards or something more decorative to complement the style of the home. Be careful, though, not to choose something overly busy, as it will provide an unwanted distraction and create an unintended focal point. 12. Decorate rich. Think function, comfort, style and longevity when choosing outdoor furnishings. As with decorating any space, choose a color palette and style – preferably ones that complements your home – and stick with it. Define areas with indoor-outdoor rugs and soften with occasional tables – ceramic garden stools are nice because they can provide extra seating for small folks – and incorporate indoor-outdoor pillows and potted plants. For upholstered furniture, invest in furniture covers and perhaps a decorative bench with an open-close top in which to store it. If you have to retrieve and return covers to a shed or garage that isn’t conveniently located, you won’t use them. Chris Ettel is founding partner of VB Homes. He serves on the Tidewater Builders Association board of directors, serves as past chairman of the TBA Remodelers Council and is a longtime board member of the Virginia Beach Public Schools Education Foundation. For more information, contact Chris@vbhomesliving.com or go to www.vbhomesliving.com.